The Seed of Life an elegantly simple offspring of the geometric symbol the Flower of Life, representing many levels of inter-connectivity. Made in Central PA by K.C. 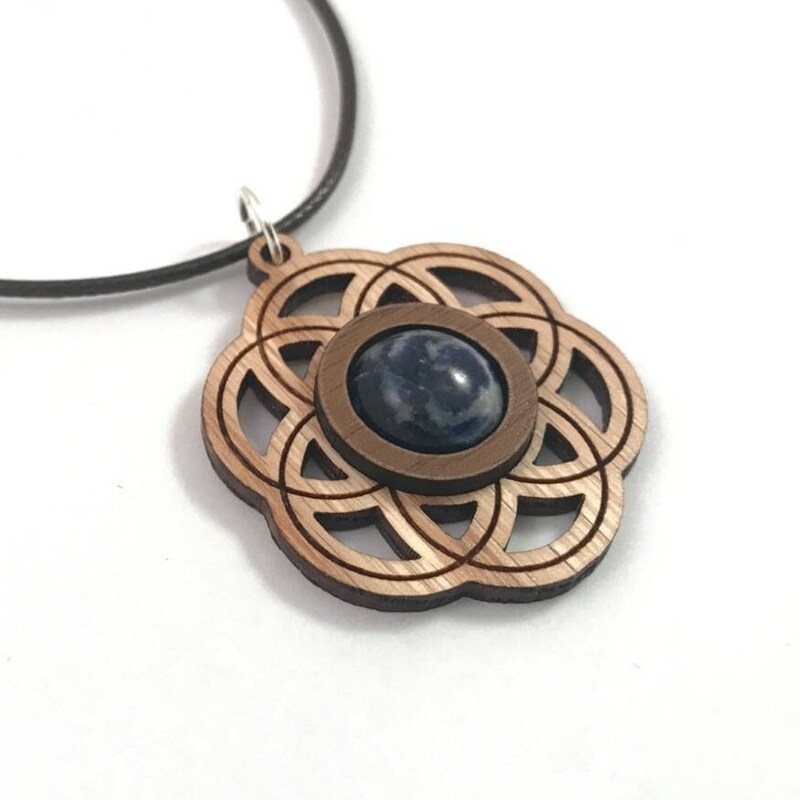 Peck, this pendant is made of sustainably harvested natural Oak and Walnut, with a 12mm genuine Sodalite cabochon securely set between the layers of wood. 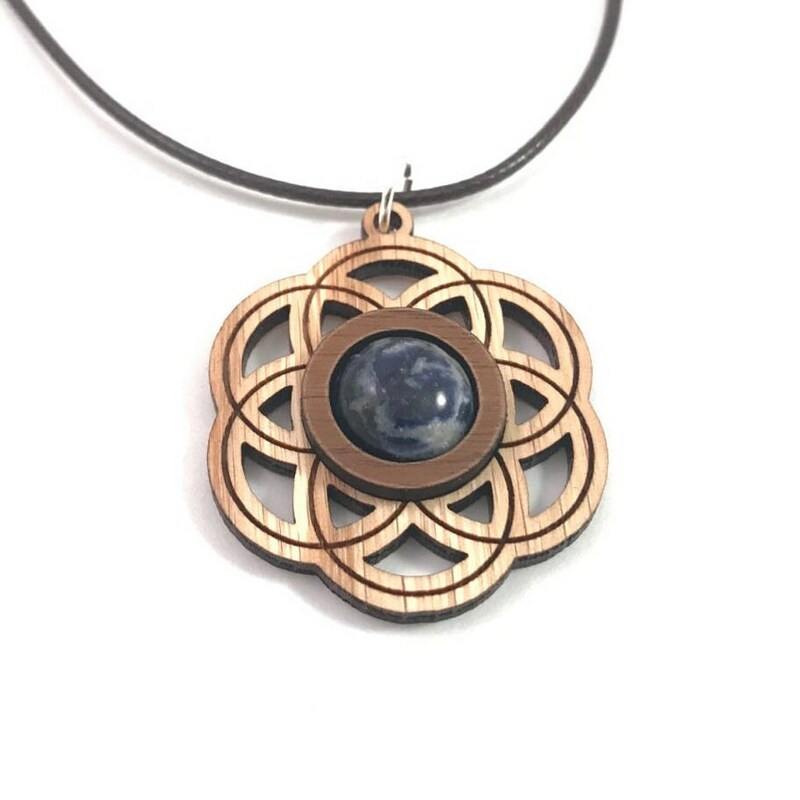 Sodalite is known to enhance Self Truth, Self Worth, Third Eye, and Intuition. It measures approximately 1.5" tall by 1.3" wide, and comes on a free braided cord with lobster claw clasp.